Mamma Vintage: Encouraging "Good Eaters"
"Good eaters." It's kind of a funny phrase, isn't it? I mean, what makes a good eater? Do they chew better? Do they swallow with finesse? It's just funny to think of children as "good" at something that everyone does. Our children have often been described as "good eaters." If you've read my recent series on weight gain and motherhood, you might be thinking that perhaps our family is a little too good at eating! Perhaps you're right. Still working on that. So what do we mean when we say "good eaters?" I think it usually means two things. First, a child who is a good eater is not very picky. They may have a small list of foods they don't like, as most of us do. But for the most part, they will eat most foods. Second, a child who is a good eater will eat healthy food for the most part. They will eat their fruits and vegetables and do not demand to survive on fruit loops, mac & cheese and hot dogs. Now, I am not going to suggest that there is a way to make your child be a good eater. When it comes down to it, you cannot force your child to eat. You will not win that battle. A child who does not want to eat something has complete control over that situation. They can clamp their mouth shut, spit the food out or simply keep it in their mouth and choose not to swallow. While I do believe that we have good eaters, we have had occasional off nights and I have seen all three of these power moves in play. Those are off nights when something else is affecting the situation - tiredness, most likely. On a normal night, our kids will gobble up peas, green beans, broccoli, avocado, cauliflower, cabbage, cooked onions and garlic, asparagus, curry, salad and many other not kid-friendly foods. So, is it just luck? Perhaps. But after four kiddos, I think there may be a few things you can do to encourage your child to be a "good eater." If you can, I highly recommend making your own baby food. Have you tasted jarred baby food? I have, just to try it. It was gross! 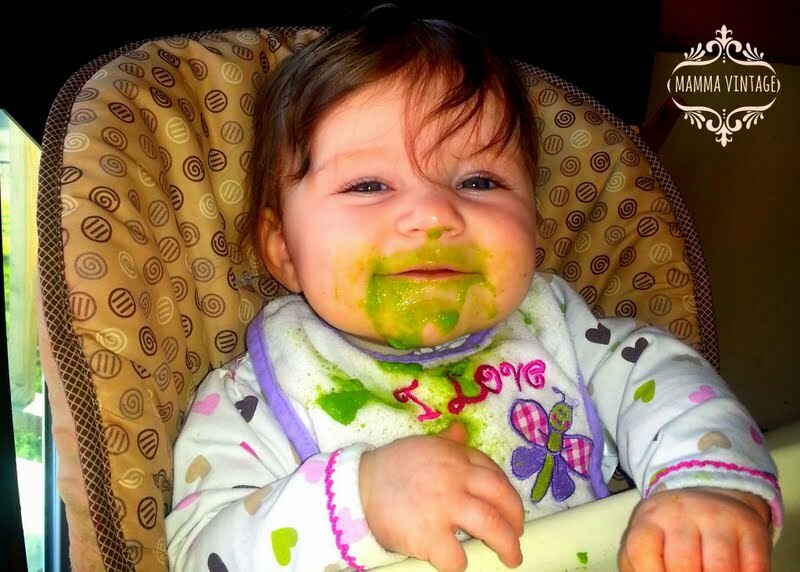 I'm not a big fan of canned peas, and jarred baby food peas are pretty much the same thing, except blended up into green goop. Now, take some frozen peas, lightly steam them, puree them with a little sea salt and -- voila! Yummy baby food! Yes, I taste it. If it tastes good to me, it usually tastes good to the baby. And yes, I season it. This is huge! Season your baby's food! If you want them to enjoy a lot of different flavors and not demand bland, boring kid food, then get them used to different flavors early. If you breastfeed, try not to change your diet too much if you can help it. Meaning, if you can, don't take garlic, onions, curry and other strong flavors out of your diet simply because you're nursing. 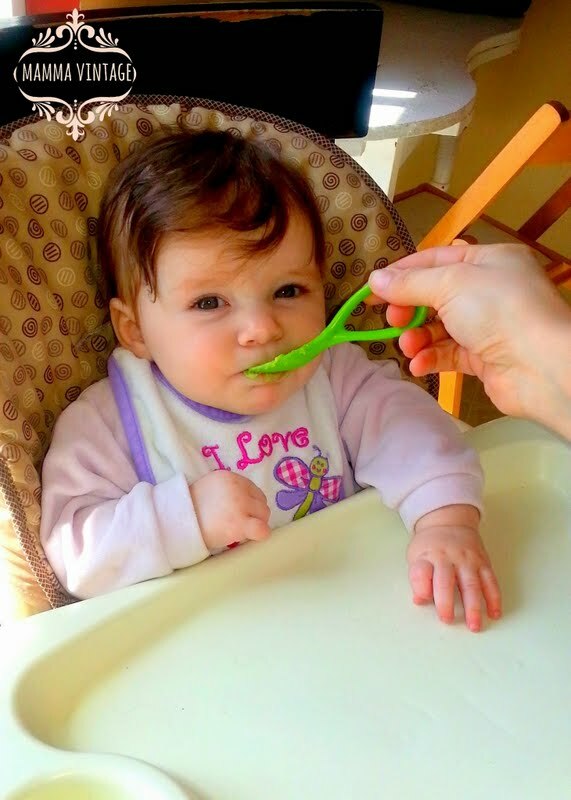 This is your baby's first exposure to flavor. I realize some of these foods may give some babies gas, and if that's the case then of course, take them out of your diet. But if you can, keep them in so that your baby begins to explore flavor. Our babies love seasoned oat cereal! Try mixing it with small amounts of cinnamon, curry or garlic powder and oregano. 2. Accept that they will not like certain foods. Your children will have certain foods that they don't like. That's okay. You probably do too. Attempting to force them to eat something will only cause a long, drawn-out battle and I'm sorry, but your child will win. Not only that, but it will be a terrible experience, only reinforcing that they do not like that particular food. Let it go. 3. Make them continue to try those foods. Do not stop serving the foods your child doesn't like. If a recipe calls for something, add it. If a certain fruit or vegetable is in season, buy it. Serve it to your child. They will most likely respond with, "I don't like (specific, disgusting, unforgivable food)!" Tell them that's okay. Tell them they don't have to eat it all. Then tell them that when this food is served, they will need to try it each time. People's taste changes. If they keep trying it, they might learn to like it. So they need to just have one bite of that certain food. They can pick out the rest and put them to the side. We have occasionally had a child who still refuses. At that point, the child is being disobedient. They are not allowed to be excused until they take the bite or bedtime, whichever comes first. Very rarely, they have sat there until bedtime. Joshua used to hate potatoes. He didn't even like french fries! Now that a strong commitment to a dislike of potatoes. But using this method, he has learned to like them and will now eat a baked potato (with the yummy fixings) for dinner. This method will not produce results in a week, a month or perhaps even a year. That's not the point. The point is to slowly, consistently expose children to these flavors so that they can gradually get used to them and learn to like them. Your goal is to encourage a lifetime of healthy eating. This does not happen overnight. 4. Make them try new foods. Use the above technique with new foods. Make them try one bite. Try roasted garlic before raw garlic. Try caramelized onions before raw. These will both have much milder flavors. Add a dash of curry to a vegetable you know they like. Let them add a dash of salt and pepper to their meals - kids think it's fun. When they see you eat hot sauce or wasabi, let them try a tiny amount if they want to. Noah loves Sriracha and salsa. 6. Eat a variety of foods. Your children will not be adventurous eaters if you aren't. Try to eat new ethnic foods and new flavors together as a family. 6. Eat most of your meals at home. For the most part, most restaurant food tastes pretty similar, especially if your children normally eat off a typical American children's menu. To get a variety of flavors, cook at home. 7. Do not offer dessert unless your children have eaten their dinner. Pink Floyd said it all: "How can you have any pudding if you don't eat your meat?" Veronica loves to help bake. 8. 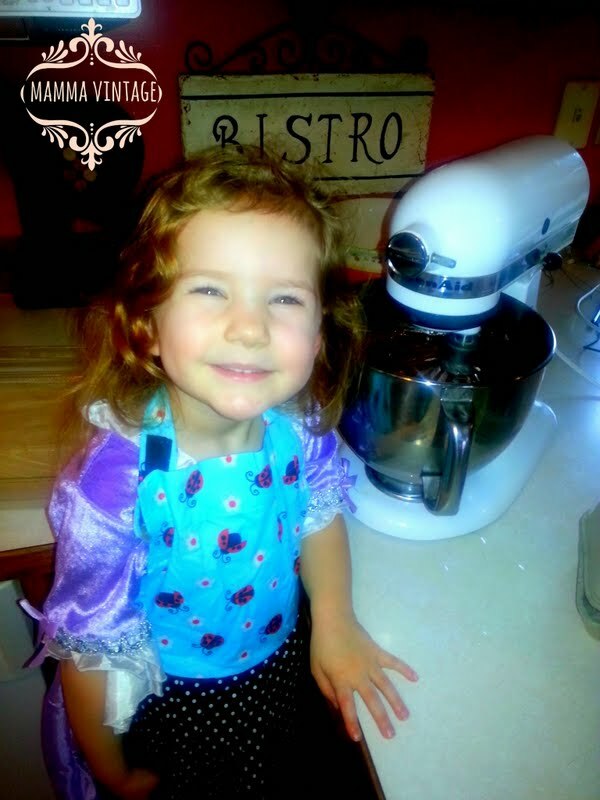 Involve your children in the cooking process. 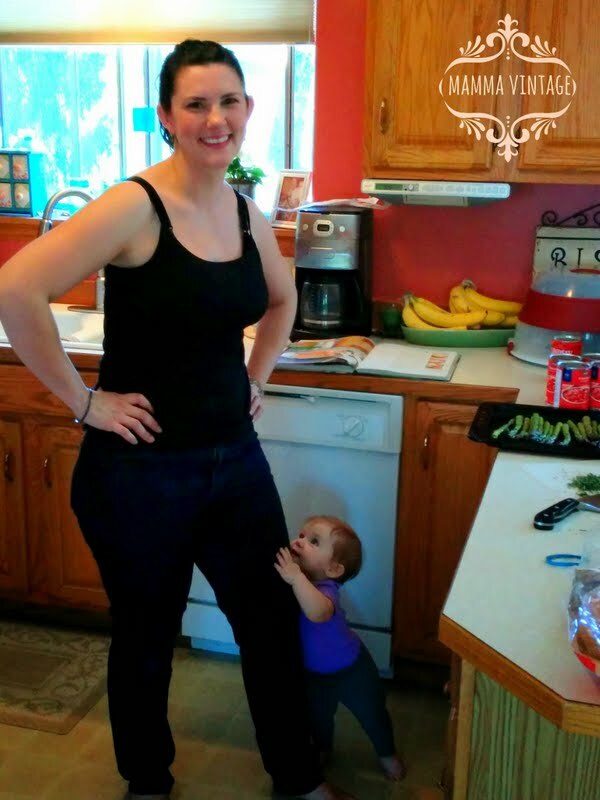 Children love to help cook. Let them! Sure it's messy. Sure it takes longer. But it's a great way to spend quality time together and to teach about fractions, other relevant math lessons and nutrition. Furthermore, they are more likely to eat a meal that they have helped prepare. My children have one snack a day in the afternoon. If something interrupts our regular schedule and it gets too close to dinner, they skip it. This ensures they have hungry tummies come dinner time. 10. Do not, I repeat, DO NOT make them a separate meal. Your children will not starve themselves. Spare yourself a lot of extra work and hassle. Make one meal for your family. Make a side of vegetables or salad that you know they will eat. That's it. This ensures they have something healthy to eat in case they won't eat the dinner. Do not make anything else. You will only start a precedent that you will not want to continue.